The Eventer Pro Vest has tectonic foam plating, which is a unique double layer pattern that moves and flexes with the rider without any separation or gapping of the foam. Live Spine works in conjunction with the tectonic foam plating to provide increased protection while moving, flexing, and mimicking the athletes movements. Flex lace closures along with additional darting at the front and back of the vest provide a more customized fit allowing the vest to expand and contract with the athletes movements while offering easy and quick fit adjustments with draw strong clip and added side flap protection. Evolution foam allows for air return circulation, cooling the body in high temperatures with specialization antibacterial agents that prevent the best from odor build up. 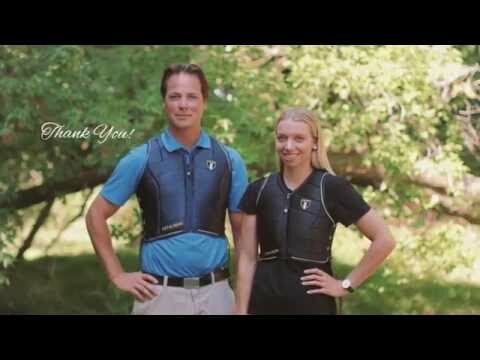 Does this vest meet National current eventing safety requirements for recognized events in 2017? BEST ANSWER: This vest carries ASTM Equestrian Standard and SEI Certification (ASTM F1937-04). BEST ANSWER: Yes, ASTM Equestrian Standard and SEI Certification (ASTM F1937-04).